Mr Pietro GARBELLOTTO, you are one of the Italian members of the Henokiens Association. Could you please introduce yourself to our readers? > Pietro GARBELLOTTO : It's a pleasure. 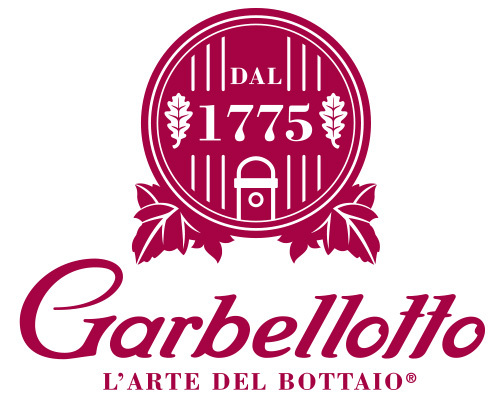 My name is Pietro Garbellotto, commendatore of the Italian Republic, and I represent the seventh generation of wood craftsmen and caskmakers of my family, that started in 1775. > PG. : Our company is a family business that produces casks, vats, smallcasks and barrels made of wood, for oenological use, for spirits and for other industrial uses. Also we trade in wood. We are not a simple cooperage of barrels: we are specialized in the production of casks and vats that hold from 1000lt to over, that are totally different from barrels whose capacity is lower than 1000lt. We are one of the most ancient families that make this work, and probably our industry is the last survivor of the big industry of cask existed in the past in this market. > PG. : Without doubt, the supply realized for the Gallo Winery of Modesto, California, where we sell 712 vats of 166.000 lt of capacity each one. It was the biggest supply ever. Also the casks realized for Juliusspital Weingut of Würzuburg, Germany: this winery is considered one of the most beautiful in the world, think that have the stairs painted by Tiepolo. > PG. : Our first and most important project is to acquire new international markets. There are a lot of oenological countries where wineries use old casks with dozen and dozen of years, because there are no more news about our old competitors that build a perfect series of cask in industrial way, with the guarantee. > PG. : We do one of the most ancient work that the origin is form the mists of time. Already in the Roman Age, the cask was used for storage wine and liquid and the barrel was used to transport liquids and other goods. It's history how "Massiminio il Trace" cross over the Isonzo River: on a bridge made of casks; or it's very famous the end of Attilo Regolo, in Carthage: died inside a cask full of nail get down from a mountain, or Diogene that spent his life inside a cask. So, the use of cask is deeply established in our tradition and thanks to our quality and passion for this work, we lasted over 2 centuries. > PG. : With firmness, yes. It's no possible to become caskmaker in a day, it takes a long time of direct experience in wood, and then in technical production of the cask that, as for raw material, is a huge world and not well know by most of people. A big history of an Industry, creates a special business relationship with the customers who trust In it especially in our sector because for casks branch, there are no schools or other place where learn how to build it: only the experience can tell you that. Do the traditional values guiding the firm constitute an advantage as regards innovation? > PG. : For us, the tradition is the guideline for research and innovation. The caskmaker work has not changed a lot from the origin. Using the traditional techniques of production, the research and innovation permit us to make the same work in an half of time, and it's a sure proof that we are in the right way. Of course, during the years and thanks to technology we have honed the techniques in realization of casks, but the tradition is saved. > PG. : We must understand, feel, the market's needs in advance and before that he change, so we take the consequential decision. We must do the guideline and we can't wait that someone makes it for us. Also, we continue to spend our resources and attentions to maintain the actually quality of our casks at the top of the market. > PG. : Yes. During the collapse of the market, happened in 1980, I must sacrifice a lot of personal asset in order to save the caskmaker employees, in those days displaced in our woods trading, and consequently to save our advanced techniques in the production of casks. But even if the sacrifice was hard, I was sure that the market would have been recovered and the time gives me reason. > PG. : Well, we don't have any established rules, but the fundamental thing is surely the merit. We try to designate the member of the family that have more capacity and passion to guide it at the best. > PG. : The new generation works already and is at the helm of the firm. My three sons Piergregorio, Piero and Pieremilio, took my place in the guide of the family business. Every one in his own sector. As for me, after 65 years of satisfying and exciting work, I decide to retire and now I am the old guard, and I give to my sons the councils that they need. >PG. : Work with passion and for the satisfaction that your work gives you. This is the right way to create an historical firm. Mr.Pietro Garbellotto retired in 2006 and dies in 2011. Nowadays, the company is managed by his three sons, active since 2000 in the company.